Water Booster Pump System | EGM, LLC. Repeatable process water flow and pressure can easily be achieved by incorporating EGM booster pumps systems to your chemical or water system. Offered in configurations designed for both clean and contaminated sources of process water, EGM skid-mounted systems are turn-key packages designed with all required plumbing, valving, and accessories. Units designed for manual type operation are built to run on motor starters and can include pressure regulators or back pressure valves. On-board flow splitting, distribution, and manual controls can also be incorporated. For automated systems, equipment is most commonly configured to run on either flow control or pressure control, pending the required system deliverables and the process into which they are incorporated. 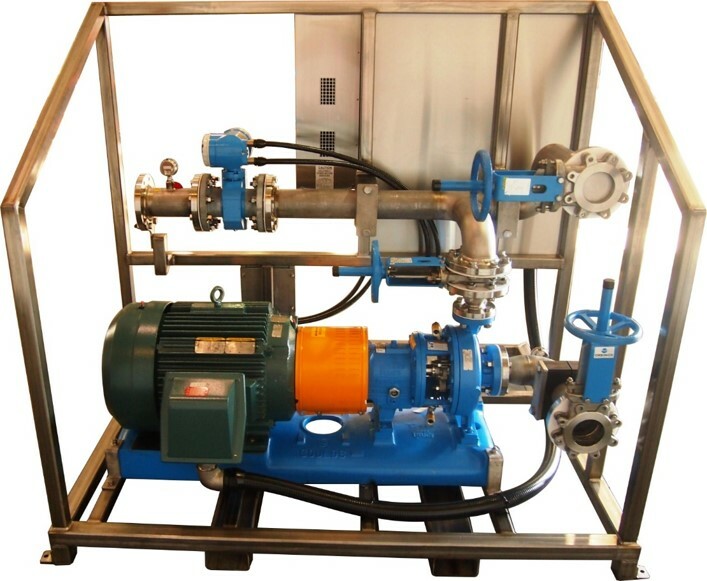 Strainers, filters, control panels, local operators and indicators, and a wide range of instrumentation options are available on all water booster pump systems.